Tour rates are per person in DBL room and do not include airfares. 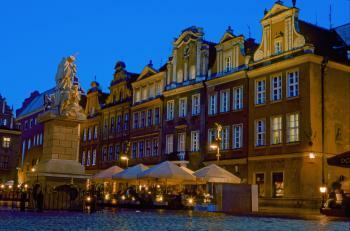 Depart from the USA on an overnight flight to Warsaw, Poland’s dynamic capital. After arrival, you will be met and transferred to your hotel in the heart of the city. The afternoon is free. At 6:00PM, meet your guide and the rest of the group in the hotel lobby. Drive along the beautifully renovated Royal Route with its historical monuments and residences. Stop at Castle Square for a short walk through Old Town, and then join us for welcome dinner at a local restaurant. Your meal will include typical Polish dishes and famous Polish vodka, "Zubrowka”. This morning, we introduce you to the highlights of Warsaw. 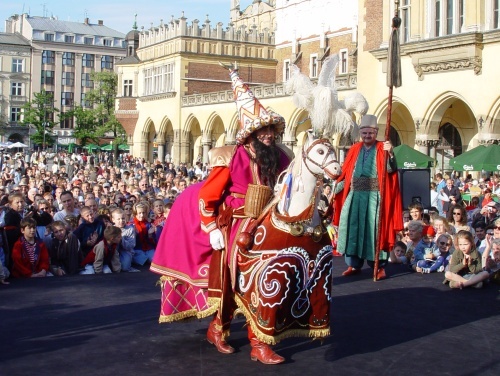 A half-day sightseeing tour includes Old Town, beautifully rebuilt after World War II, with the impressive Royal Castle, seat of the kings of Poland. Here the Constitution of May 3rd was proclaimed in 1791, the second oldest constitution, after the US Constitution, in the world. You will admire some of its 300 rooms and see there Canaletto Room with 23 of his paintings, the Throne Room, the magnificent Knight’s Hall with six large paintings by Marcello Bacciarelli, the Marble room with its 22 portraits of Polish kings and the largest and most impressive of all the castle’s chambers, the Ballroom. After lunch served at a local restaurant in Old Town, we continue our tour with a drive to the area of the former Warsaw Ghetto. En route, you will see the building of the National Opera House and Town Hall. During your tour of Warsaw we invite you to the famous Warsaw chocolate factory "Wedel" to taste the delicious hot chocolate at the "Wedel Old Fashioned Shop". This evening you will take an unforgettable musical journey through the world famous compositions of our greatest composer, Frederic Chopin, in a piano recital. A glass of sparkling wine will be served during intermission. 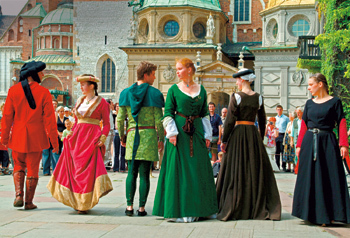 The morning sightseeing tour will feature Wawel, the Royal Castle, home to three dynasties of Poland’s monarchs. Its stately halls and exquisite chambers are filled with priceless art, valuable period furniture and rare ancient objects. The collection of monumental 16th century tapestries is matchless. 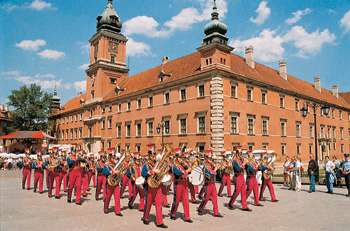 You will also visit Wawel Cathedral, the place of the cult of St. Stanislaw and St. Jadwiga, Queen of Poland. Its 18 chapels are true architectural masterpieces. The giant bell, Zygmunt from 1520 ranks with the world’s largest. This is the place where Polish kings were crowned and buried. Following a short break for coffee and cake at the famous Krakow café, a place designed by local artists with beautiful glass-painted windows and interesting drawings, we drive to Old Town with its renewed Main Square of magnificent houses and palaces. There, you will stop at St. Mary’s Basilica to see the magnificent wooden altar by Wit Stwosz. In the middle of the square is Cloth Hall built before 1349, but renovated in the 16th century with many shopping stalls inside. The afternoon is at leisure. Tonight’s dinner will be served at a local restaurant in Old Town. 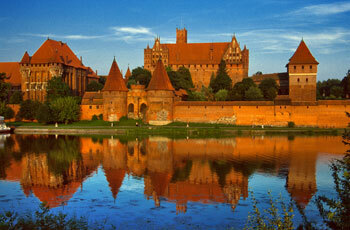 Today we depart for western Poland and the historic city of Wroclaw. Known as "Venice of the North", it is one of the oldest cities in Poland, capital of Lower Silesia, with a beautiful location along the Odra River. En route, we stop in Wadowice, the birthplace of John Paul II. After lunch at a local restaurant, we will see the house where He was born and grew up. From the window of His bedroom He used to see a clock with the sign "Time flies, eternity awaits”. In the Basilica of Wadowice, where Karol Wojtyla, Pope John Paul II, was baptized you can still see the special plaque that commemorates this fact as well as a stone font where the Pope prayed during His first pilgrimage to Poland in 1979. From here, we continue our journey to Wroclaw, after lunch at a local restaurant in Wadowice. Today, Wroclaw with its beautiful historical buildings like Town Hall in Market Square is recognized as a gem of urban Gothic-Renaissance urban architecture in Poland. 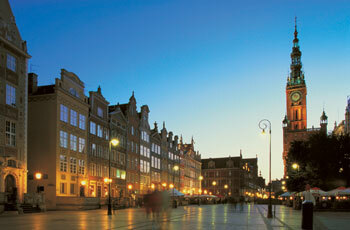 Today, we tour Gdansk in depth. We start from the Upland Gate - a fragment of the city's former fortifications and one of its main gates. Just behind it, we pass by a baked-brick construction consisting of the Prison Tower and the Torture House - relics of the 15th century Gothic defense walls. 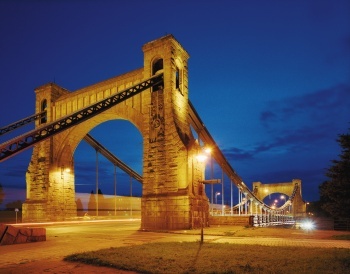 The Golden Gate, situated next to the Prison Tower, opens onto Long Market - a magnificent street, with grand mansions decorated with late Renaissance and Baroque facades. A real feast for the eyes!!! 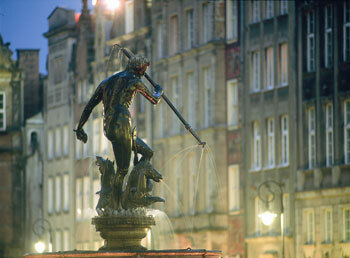 It is here that the richest burghers of Gdansk once lived. Next, we come upon the Main Town and the Artus Court - a building used for Hanseatic League meetings. 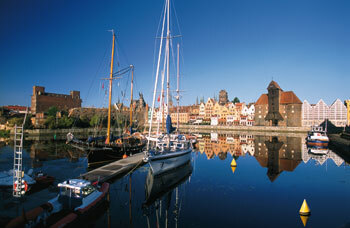 It is renowned as the most beautiful court among all of Europe’s Hanseatic cities. Just behind it stands the tower of St. Mary's Basilica, a part of the most precious and largest red-brick Gothic church in Gdansk. On our way back we pass by Mariacka Street, with its gabled terraced houses and elegant boutiques. 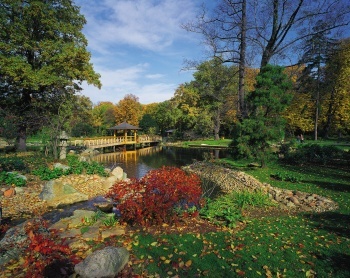 From here we drive to Gdynia, youngest of the tri-city complex, which also includes Sopot. Here we visit Oliwa Cathedral famous for its one-of-a-kind pipe organ, to enjoy a concert. After lunch at a local restaurant, we continue our drive to Sopot, the famous and fashionable seaside resort. Here you can still see the oldest and longest wooden pier in Europe. The balance of the day is free and gives you time for shopping Baltic arts and crafts, including unique amber jewelry and trinkets. After breakfast, we return to Warsaw. On the way, we visit the Ethnographic Park in Olsztynek, site of the Museum of Folk Architecture, one of the oldest open-air museums in Europe. The Museum contains many interesting examples of folk architecture, including houses, barns, windmills and other traditional buildings. A particular attraction of the Ethnographical Park are the interiors of old houses, the evangelical church, a smithy, a pottery stand, a Dutch windmill as well as various temporary displays representing items of traditional craftsmanship and modern folk art and handicraft from the region. The main objective of the Museum is to preserve the legacy of the past for future generations and to encourage the study of the rich cultural and spiritual values of days gone by. In the afternoon, as we continue our drive to Warsaw, we will stop in Lowicz, a typical Mazovian town famous for folk art: especially noteworthy are the colorful costumes and beautiful paper cut-outs. You will be invited for a home-hosted dinner by a local family, whose charming cottage is located at the foot of the former Lowicz Castle. You will be welcomed in a typical Polish way, with bread & salt, and enjoy your meal served by the young married couple in their lovely house. You will have time to talk about their day to day life and have your dessert in a beautiful garden. After dinner, we continue your drive to Warsaw. After breakfast this morning, we transfer you to the airport for the return flight home.